Sony set the tone for its E3 press conference early, starting off with a sizzle reel of games accompanied by a song that was a subtle dig at Microsoft. The digs were to become less and less subtle as the conference went on, but first Sony had a lot of ground to cover. First, we had a look at some upcoming titles for the Vita and the PlayStation 3. Sony listed a large number of upcoming Vita games, plus mentioned that quite a few of its HD remakes will be coming to both the PlayStation 3 and the Vita. There will also be a variety of new games released for the PS3 later in the year to help support the system up to and beyond the release of the PS4. Sony spotlighted these games during the conference. Trailers for upcoming PS3 games included one for The Last of Us, which looks as brutal as ever (and is amazing ) though this year there was a bit more context for the violence. A Beyond: Two Souls trailer held some surprises; the game is very much not in the style of Medium or Ghost Whisperer. Protagonist Jodie Holmes has a connection to the dead, but she's also a highly trained military recruit who is sent on a solo mission to take out a powerful warlord. The Gran Turismo trailer shows a great deal of footage starring shiny cars, and an extended Batman: Arkham Origins trailer sets up the game’s basic premise and major villains. Although there was no GTA V footage shown, there will be a GTA V PlayStation 3 bundle available for $299 when the game launches. 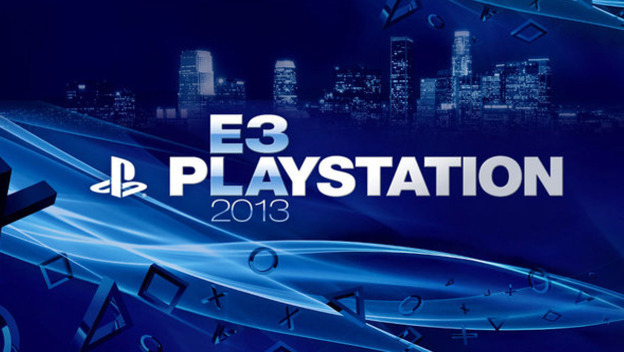 All of the PlayStation 3 games revealed during the conference will launch before the end of 2013. With that out of the way, Sony moved on to the main event: the PlayStation 4. The console itself was finally unveiled. It's a sleek black parallelogram with a blue stripe across it. In a strangely Microsoft-esque move, the press conference first detailed some of the non-gaming entertainment features of the console. Sony will offer an unlimited video service that allows people to buy and rent movies and music. The entertainment available via this service will be “curated for gamers,” whatever that means. Sony also has a few partnerships with various entertainment services like Redbox and Flixster. Enough of that, though, let's get to the games. Sony had an awful lot of them to show off, starting with a teaser for a new IP by Sony Santa Monica. It's called The Order: 1886, and it appears to be a steampunk action game starring a squad of Van Helsing-type vampire/werewolf hunters. After that, we saw brief pieces for Killzone: ShadowFall, Driveclub, and Knack, a fantasy game starring a creature with elemental powers. All three of these games will be out for the PlayStation 4 at launch. We also saw a longer trailer for Infamous: Second Son, which stars a graffiti artist named Delsin Rowe who can absorb the powers of other conduit users. The new Infamous game will be out in Q1 2014. Sony went on to show off a tech demo from Quantic Dream. The purpose of the demo was to show off the range of facial expressions that the PlayStation 4's technology allows, as well as to provide a lighter moment in the conference. 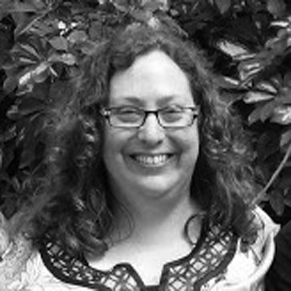 The end of the demo's story will be seen on the show floor and on the 'Net. Next, Sony invited Supergiant Games onstage to show their (previously released) trailer for Transistor, their upcoming art deco-style action RPG. This kicked off a rapid-fire list of small independent titles that Sony is showcasing as part of its renewed attempt to attract indie developers to PlayStation platforms. They included games like Octodad: Deadliest Catch, Secret Ponchos, Outlast, and Oddworld: New & Tasty. After a brief mention of Diablo III for the PlayStation 3 and 4, which will include a number of new PlayStation-themed items, Sony gave the floor to Squre Enix. The venerable RPG developer finally announced that the game formerly known as Final Fantasy Versus XIII has morphed into Final Fantasy XV. We were shown a trailer for the title that gave us far more gameplay footage than we've seen before. After that, we received an announcement that Kingdom Hearts III is finally in development, though we shouldn't expect it to come out in the near future. Next up were extensive gameplay trailers from two games we'd seen earlier in the day. Assassin's Creed IV: Black Flag finally allowed us to hear the dulcet British-accented tones of its protagonist in a trailer full of damp island jungles and swashbuckling action. It was briefly announced that we'll be able to play as Aveline from Assassin's Creed Liberation in the PlayStation version of the game, but no specifics were given. A Watch Dogs trailer showed us a hefty gameplay segment as well. It began with a sequence in which the player was on the run from the police in a car. After escaping and hiding in a coffee shop, there was a segment in which the player hacked security cameras in order to help a friend out of a jam. Finally, confronted with the police, the player used some good old-fashioned violence to escape, eventually causing a blackout in order to slip away and make his way to a powerboat. It's not easy to follow those two trailers, so Sony hosted an amusingly brief sports section in which LeBron James talked to an avatar of himself in NBA 2K14. With that out of the way, the conference quickly switched over to a trailer of The Elder Scrolls Online, which is coming out for the PlayStation 4 in the spring of 2014, and then they switched to a teaser for a Mad Max game by Avalanche Studios. 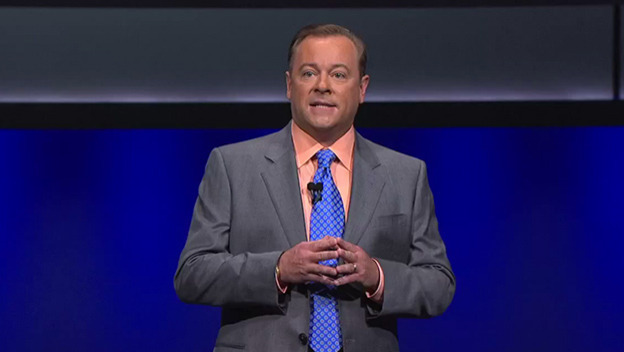 After that hefty amount of gameplay footage, Sony's Jack Tretton took the stage to drop several nuclear bombs on Microsoft. He announced that the PlayStation 4 would not be supporting any restrictions on used games. Disc-based PlayStation 4 games can be freely loaned or sold to others. The console will have no online authentication for single-player games, and no online check-in requirements. Sony then discussed PlayStation Plus, announcing that PS+ memberships will carry over to the PlayStation 4, and that a single PlayStation Plus membership provides access to PlayStation 3, 4, and Vita content. There will be a PlayStation Plus version of Driveclub available for free at the PS4's launch time, with regular Instant Game Collection entries to follow. In perhaps the only disappointing news for consumers, PlayStation Plus membership will be required for online play on the PlayStation 4. With that news and several jovial jibes at Microsoft's Xbox One, Tretton cleared the stage for Bungie's gameplay demonstration of its highly anticipated multiplayer shooter, Destiny. Several demonstrators landed in Old Russia on Destiny's far-future version of Earth. They took on characters of varying classes, showing off the weapons and abilities available to those classes, and then made their way through the dangerous landscape. Near the end of the presentation, an event that featured several groups working together was displayed. Sony closed off the presentation with news that it has partnered with Gaikai to provide a streaming service that allows players to access a cloud-based library of PlayStation 3 games. This will be the only way to play PS3 games on the PS4, which is not backwards compatible. No pricing information was given for this service, which will launch in the USA in 2014. The pricing information we did receive was for the PlayStation 4 itself, which will debut this holiday season for $399, $100 less than the Xbox One. Public reaction to Sony's press conference was quite positive, especially in terms of Sony's announcements regarding used games and a lack of online authentication and check-in requirements. Many gamers also appeared happy with the variety of games shown off at the Sony conference, though some action and shooter fans preferred the titles announced by Microsoft. In general, though, the consensus is that Microsoft is going to have its work cut out for it in terms of marketing the more expensive, less consumer-friendly Xbox One.